The AppleCare Protection Plan for Apple TV provides up to two years of expert technical support and additional hardware service options from Apple.1 When you purchase the AppleCare Protection Plan, you get direct access to Apple expert technical support2 for questions on a wide range of topics, including tvOS, iCloud, AirPlay and more. 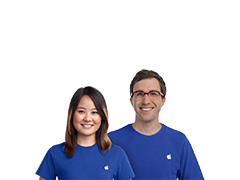 In addition, you’ll get 24/7 priority access to Apple experts via chat or phone. You can even get local repair service when you visit other countries around the world. AppleCare Protection Plan benefits are in addition to a consumer’s right to a free-of-charge repair or replacement, by the seller, of goods that do not conform with the contract of sale. Under Irish law, consumers have up to six years from the date of delivery to exercise their rights; however, various factors may impact your eligibility to receive these remedies. For details, click here. The AppleCare Protection Plan must be purchased within 12 months of the original purchase date of your Apple TV and provides up to two years of coverage from the original purchase date of your Apple TV. AppleCare Protection Plan benefits are in addition to rights provided by consumer law. For details, click here. Local call charges may apply. Telephone numbers and hours of operation may vary and are subject to change. Availability of service options depends on the country or region in which the service is requested and the location of the Apple Authorised Service Provider. Products returned for service may be repaired or replaced with parts equivalent to new in performance and reliability. Apple may also request that the customer replace components with readily installable parts.